At Best Car Hire we compare the car hire market in North of England to bring you the cheapest Newcastle Airport car hire, for your holiday or business trip to in Newcastle or the surrounding North of England countryside. What are My Choices for Newcastle Airport Car Hire ? Choose from a range of automatic or manual transmission cars, with or without air conditioning. Can I Hire a People Carrier at Newcastle Airport ? If you would like to choose a minivan or people carrier for your Newcastle Airport car hire then you can select the Citroen C4 Grand Picasso, Opel Zafira, Volkswagen Touran, Ford Galaxy or a Volkswagen Sharan. 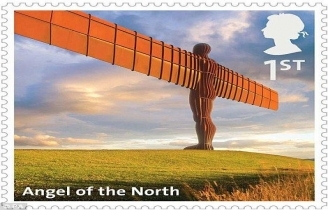 Newcastle, or Newcastle Upon Tyne, is a city in the North East of England, UK. What is Newcastle Famous For ? Newcastle is famous for its friendly people, "Geordies", the Tyne Bridge, Newcastle Brown Ale, Newcastle Football Club, the Great North Run, and pop stars Mark Knopfler and Sting from the Police. When you are planning to go on a long-awaited holiday or an important business trip, then a car hire from Newcastle Airport with Best Car Hire can make life easy for you. You control where you want to go and when you want to get there. Our website compares the UK car hire market, so you can easily find a rental car that will best suit your budget and your needs thus saving you a lot of time and effort. Finding a car hire depot near you is easier than you think: Because we compare deals from different car hire companies, you also have more choices of pick up and drop off locations around Newcastle Airport, including Newcastle Train Station, Neville Street and Newcastle City Hall.